Inkling boys hail from the city of Inkopolis in the game Splatoon. They crave team-based competition and love to customise their gear before participating in the hottest sport in town, Turf War! Their hobbies include making a mess, rocking the latest fashions, dancing, and spoiling the nefarious plans of their evil octopus archrivals, the Octarians! 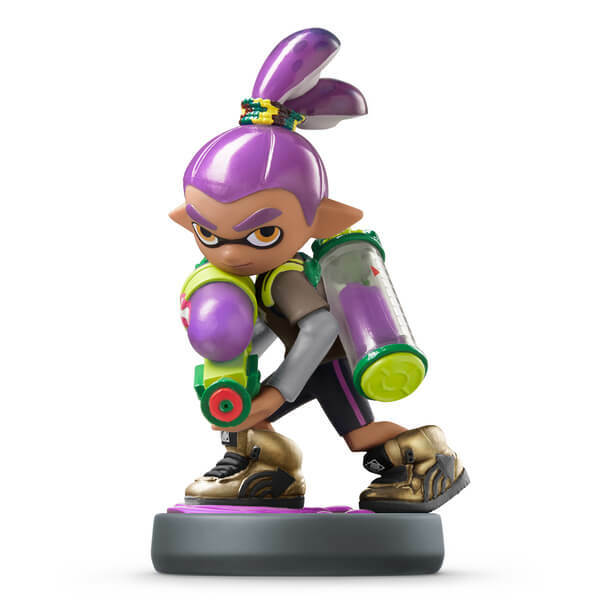 This is a purple Inkling Boy amiibo. Another great amiibo for my daughter's collection. 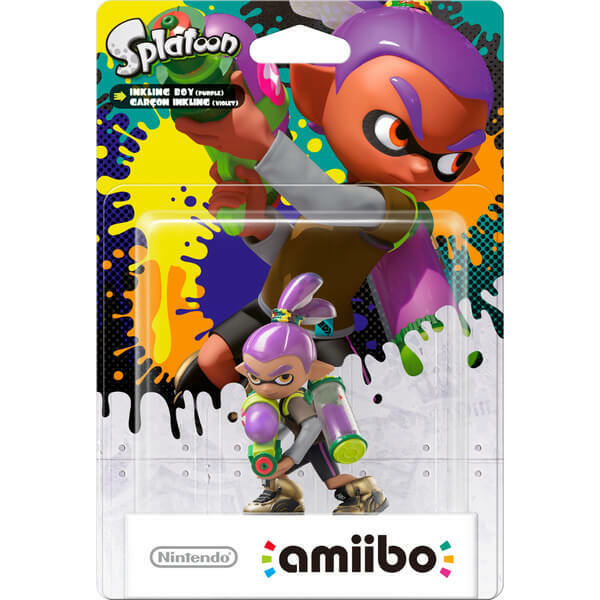 A different pose from the original inkling boy would of been even better - but the different colours are still cool.